Blog | BFM Group, Inc.
At BFM, we are frequently presented with opportunities to express brands through various media platforms. 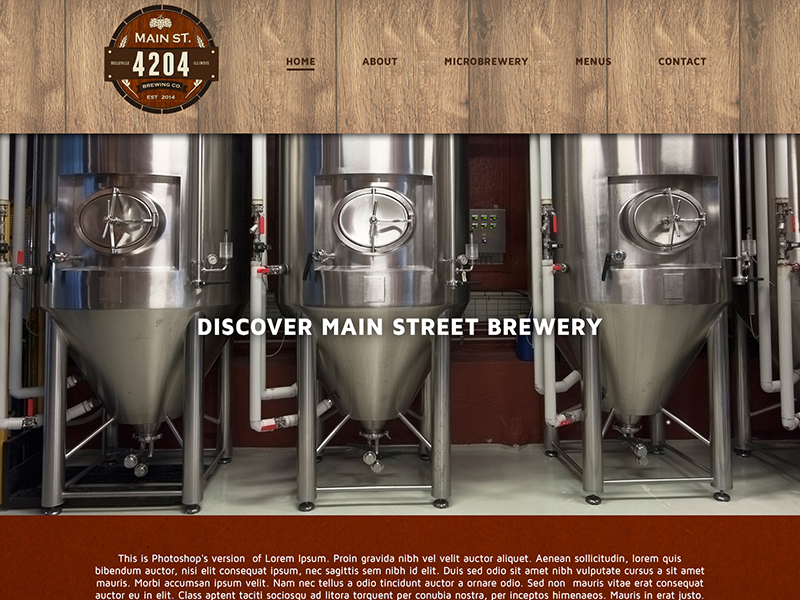 Recently, we were given the challenge to design the beer brand for 4204 Main Street Brewery’s latest beers! As the brewery began to expand and open a second location, beer production was also increased in hopes of distributing products outside of 4204’s restaurants. Our goal was to design the beers with their own unique voice, that stand out on shelves and maintain the Main Street Brewery identity. Our first task was finding a way for four separate designs to be identifiable under one brand. Though these beers have different names, colors, fonts, and illustrations on the label, they are still easily recognized as a product of the 4204 Main Street Brewery due to a few similarities. Each can may have different elements, but they all follow the same structure. Every can displays black and white photos of the restaurant, they all possess a bar of color at each cans peak, and they all have the logo front-and-center with each product name just below the logo. These similarities allow for the cans to be individual, but not so individual that consumers are unable to recognize the single beverages as part of the group. So what makes these cans so unique? 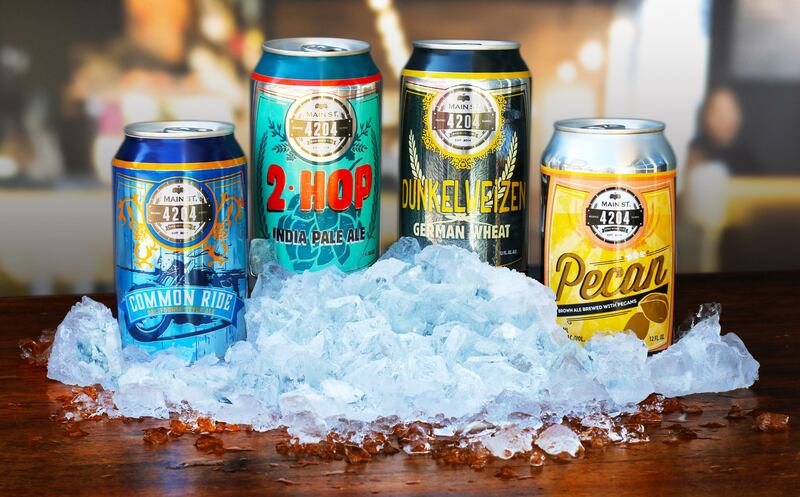 When Main Street Brewery decided to take their beers to the local shelves, we wanted to make their design an extension of their successful restaurant, in which their recipe for success is to complement beers with meals that go well together. In other words, we wanted to pair each beer with a personalized packaging and design that gives them their own chance to stand out while keeping the branding cohesive. 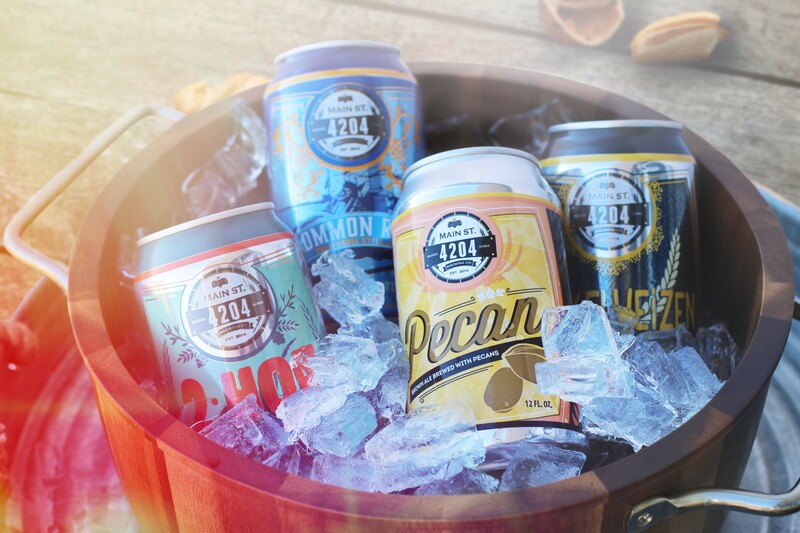 Although the beers have similar structures and placements of logo, tagline and illustrations; they have custom picked typography, color palette and graphics. This gives each beer it’s own personal identity while still resembling to the 4204 Main Street Brand. The Two Hop India Pale Ale is a very well complemented beer, being both bitter and citrousy, giving it a strong but clean taste. To implement these traits to the packaging, we opted for a complementary color palette that has enough contrast; with many light blues and cyans serving as background for a dominant red title. The subtle floral hop behind the thick title font symbolizes the essential ingredient they use to make the brew “hoppy” or bitter. One of the house favorites due to the particular use of pecans in the brewing process, the Pecan Brown Ale is a sweet-ish beer with hints of roasted pecans. Since we wanted to express this light bodied brown ale’s main ingredient, we went with a gold/golden color palette than blends well with the subtle brown used in both the title and the pecan. The cursive style font flows well with the rich and yellow background pattern. This beer label was primarly aimed at show-casing a dark and wheat based brew. The “Dunkelweizen” title uses a bright and shinny yellow to highlight the German name and heritage of the brew. However, the most important aspect of this design are the simple but elegant wheat tillers that rest above a subtle black texture in the background. Finally, the thickness of the fonts helps emphasize the strong personality of this beer. On the other hand, we have the Common Ride California Style Ale, which is a smooth and traditional American beer. This brew style uses rye to create a well-balanced taste, which we tried to replicate using elegant tones of light blue under a warm orange. Like in the “Dunkelweisen”, the Common Ride shows part of its heritage on the packaging, with a motorcycle over a coastal road and a color palette that resembles California. 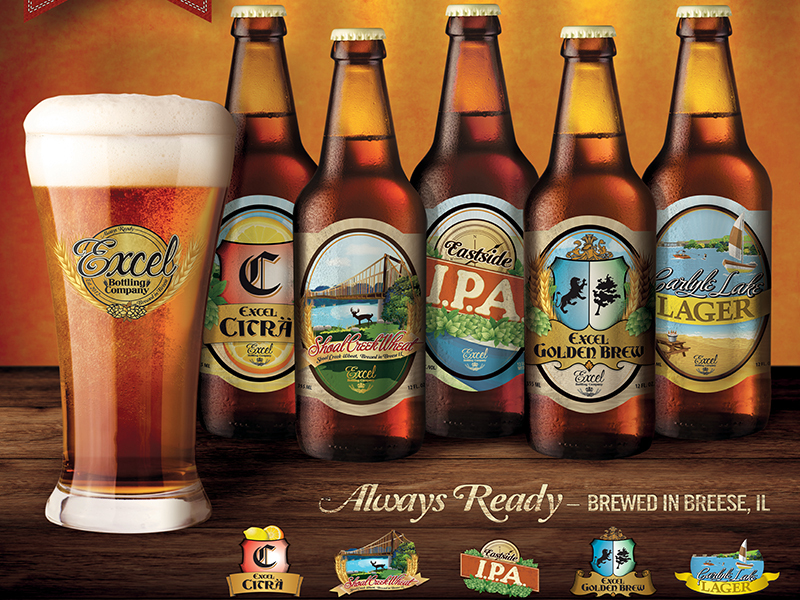 The fonts used are modern and stylish, which portrays how much newer and fresh American brewing traditions are in comparison with the more traditional and historic German beers. In successfully promoting your business and keeping a consistent image. Call today so we can help you find the right product to target your market and meet your budget. Through our online site you can search hundreds of thousands of products and apparel to promote your business. BFM has won 7 National Awards in 7 different categories through the American Graphic Design Awards for the work we did on our clients projects. Look for the printed annual by GDUSA showcasing the designs with our peers this coming December! 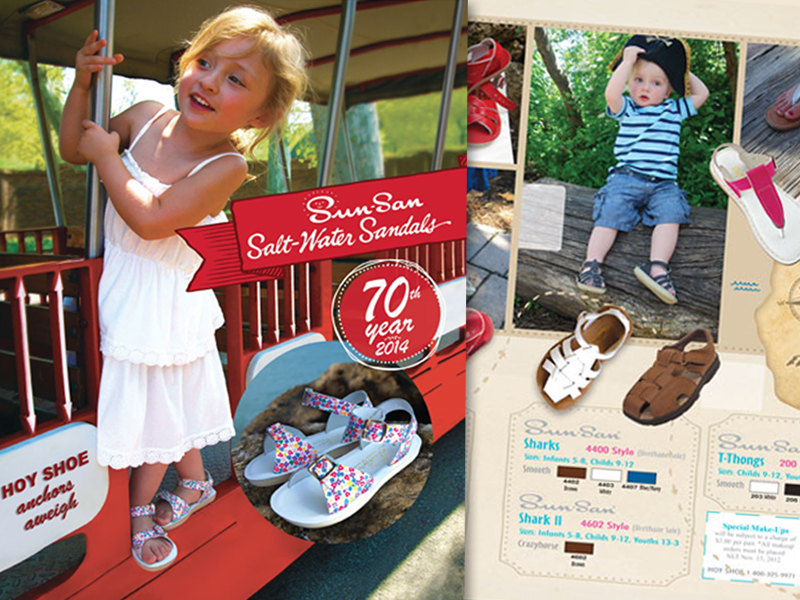 Direct Mail is an ideal way to stay in touch with customers. Whether your company is giving seminars, promoting new products, or running specials, you can deliver your message into the hands of exactly who you want to receive it! Our client, the Maschhoffs, holds annual meetings with their customers and turned to BFM for ways to ensure these events are successful. 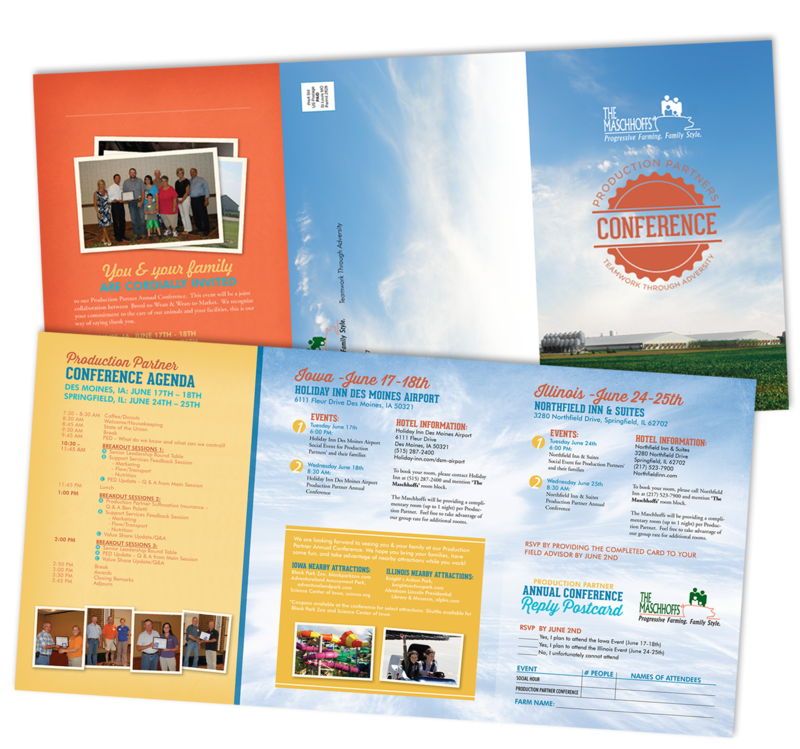 To do so, BFM created the award-winning invitation below, highlighting their meeting schedule, fun activities, and pictures to entice maximum attendance. Direct Mail is an outstanding marketing tool with staying power for your company to gain new clientele or mail to existing clients. There are countless benefits! With variable printing and demographic lists, you can send out tangible pieces of communication directly where and to whom you determine. Whether if you choose your direct mail piece to land on someone’s coffee table at home or desk at the office, your brand will stand out! Create a distribution map to include the most advantageous mailing routes by choosing your target demographics. Add variable information to gain even more attention through personalization. Design a piece that best represents your brand. Include an incentive to buy or a call to action on your Direct Mail piece. For maximum results, add a second mail drop and/or combine your direct mail with e-marketing. 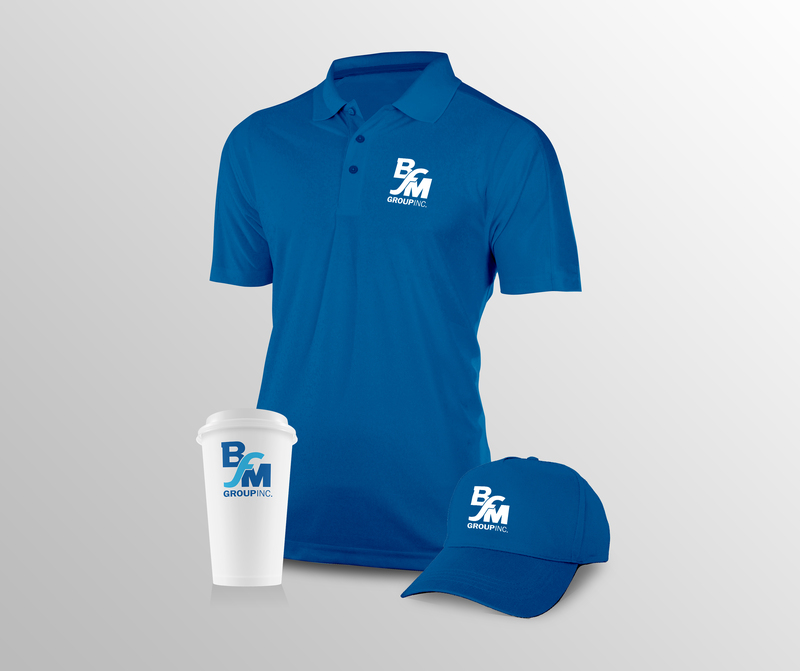 Choose BFM for the design and distribution of your Direct Mail! 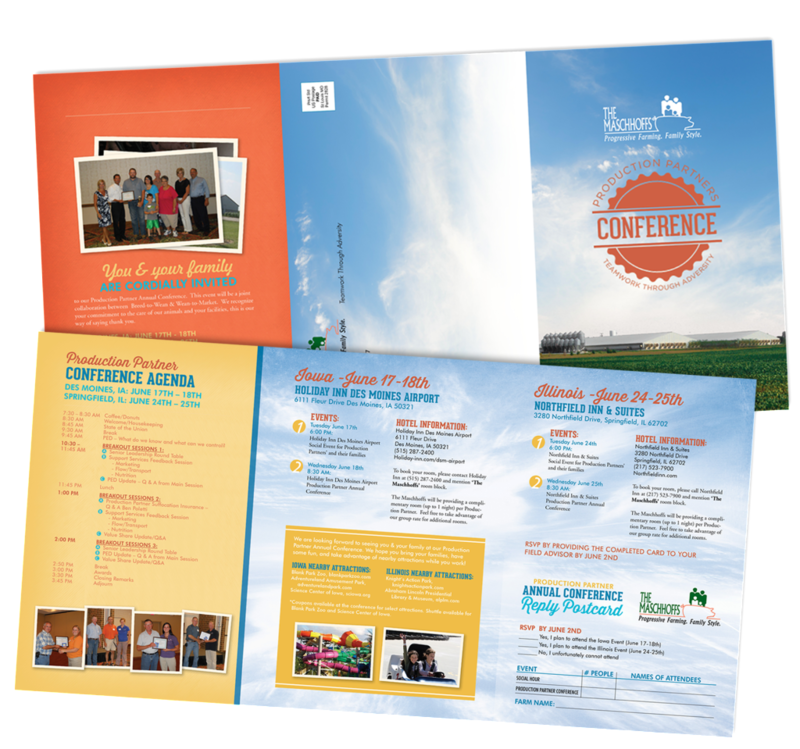 BFM manages thousands of direct mail campaigns, distributing millions of pieces each year. We make it easy for our clients to stay in touch with their target market all year long. 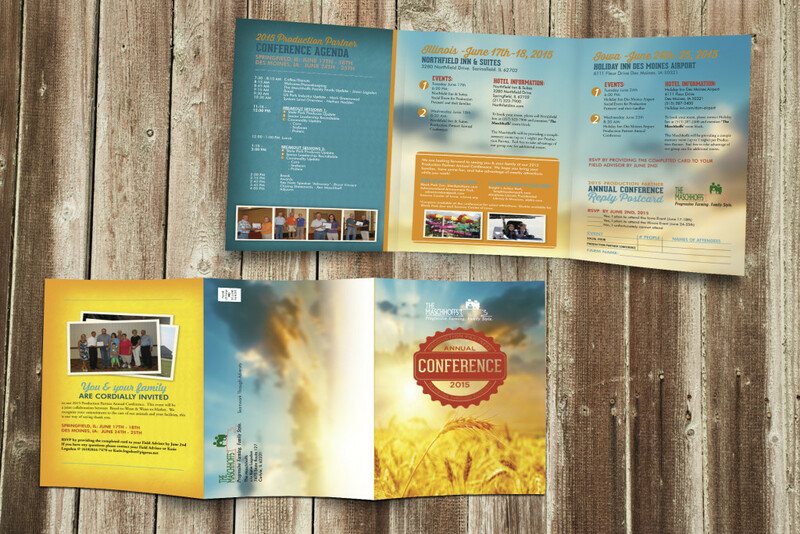 Let our experienced team know if you would like to add Direct Mail to your marketing plan! If the expression, “A picture is worth a thousand words” is true, just imagine what your company can accomplish with a video! 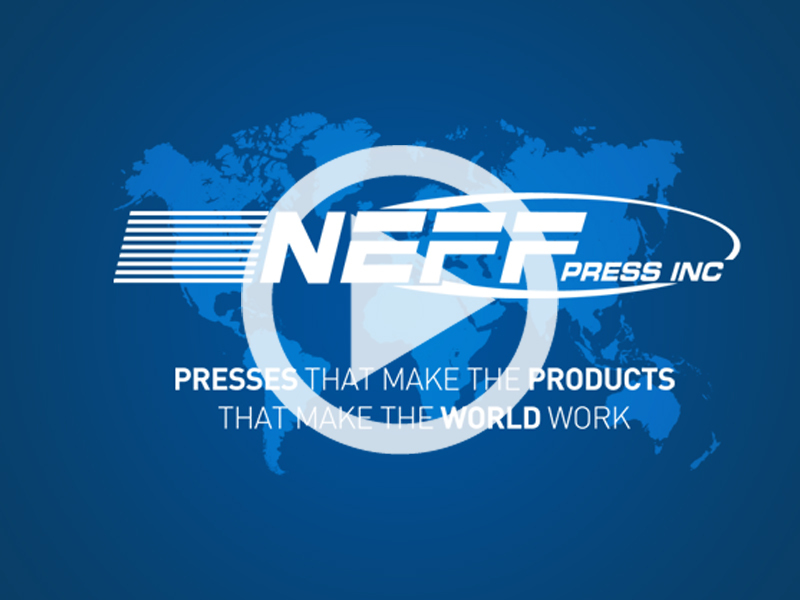 Your company video by BFM has the power to make a huge impact on your target market. We help to convey your brand on a personal level, creating an memorable representation of who you are, differentiating you from other companies. Our video production services include (but are not limited to) storyboarding, full HD production, voice-over talent, writing, editing, and motion graphics. We work closely with you to make your vision come to life, creating a high quality, engaging message that works within your budget. 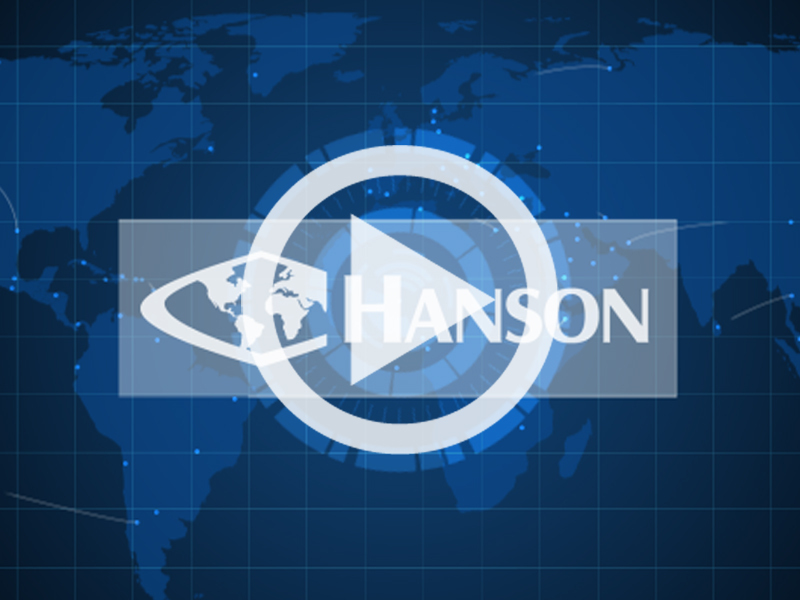 According to the Wharton School of UPENN, just one minute of video that is viewed equals 1.8 million words of text. Being able to briefly demonstrate the different aspects of what your company has to offer in an informative and relevant way grants large groups of people the chance to conveniently learn all the reasons you’re the best choice for their needs.